Combine first 6 ingredients and mix well. 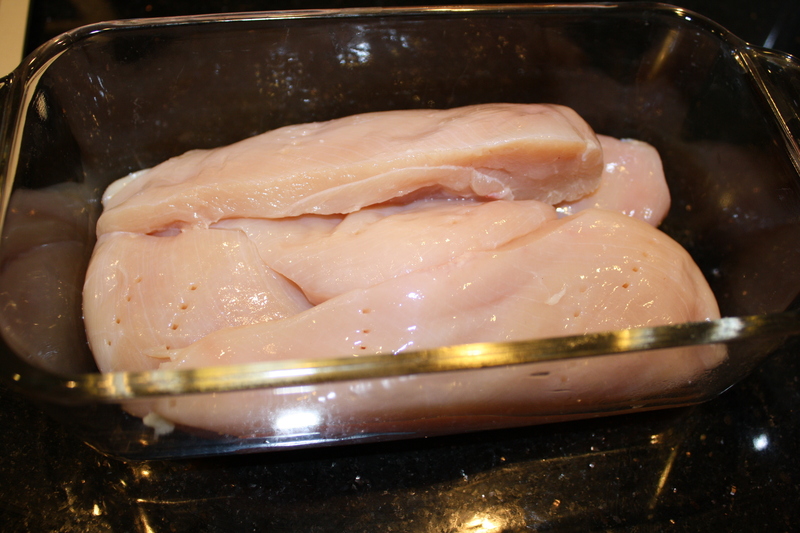 Place chicken in a ziplock bag and pour marinade over chicken. Marinate overnight in the refrigerator. When ready, grill until done. 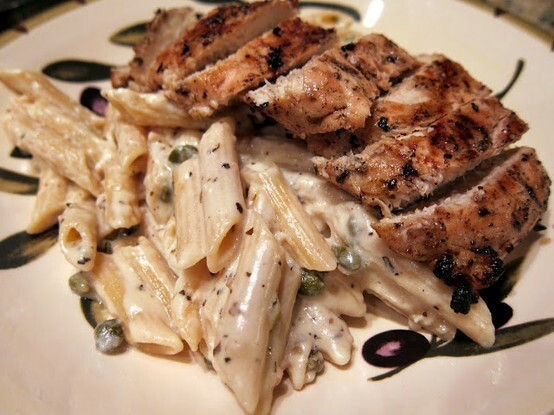 Allow chicken to rest for a few minutes and then slice into strips to serve over pasta. While chicken is grilling. Cook pasta according to directions (10-12 minutes). Reserve 1/2 cup of pasta water and drain. In same sauce pan, melt butter over medium heat. 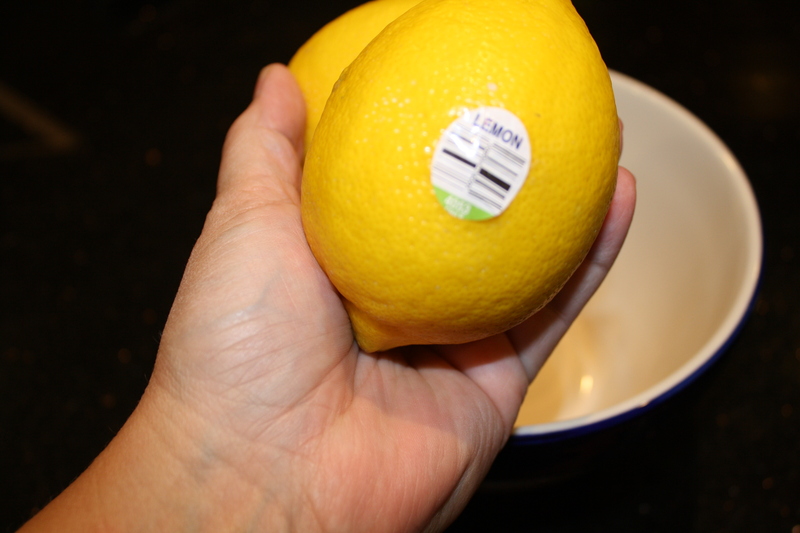 Whisk in garlic and lemon juice. Pour in half and half and whisk until hot. Add some salt and pepper to taste. Add the parmesan cheese, basil and capers, and heat until cheese is melted. Check the consistency of the sauce and add some of the reserved pasta water to loosen the sauce if necessary. Toss in pasta. Serve in pasta bowls with grilled chicken on top. Sprinkle with more parmesan if desired. 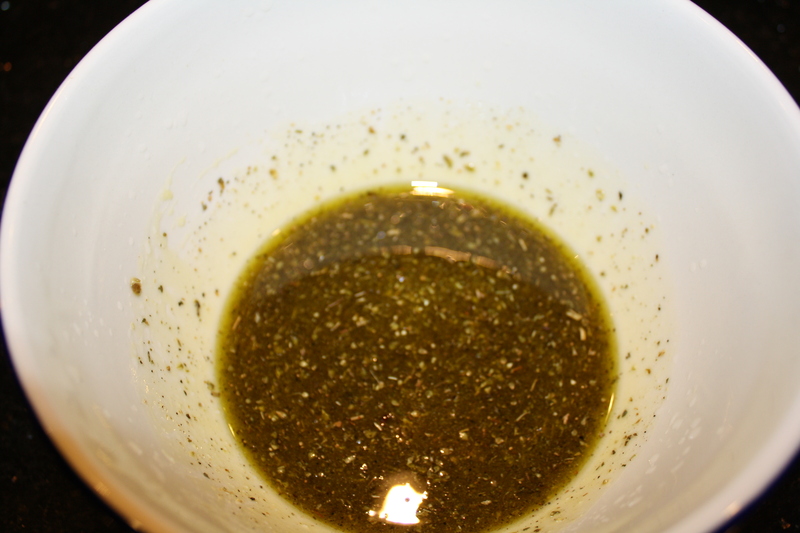 …and mixing that with olive oil and garlic. I poured that over chicken, which had been trimmed of all fat (again, so as not to use a plastic bag, I just used a glass dish). And let it sit for about four hours in the refrigerator. 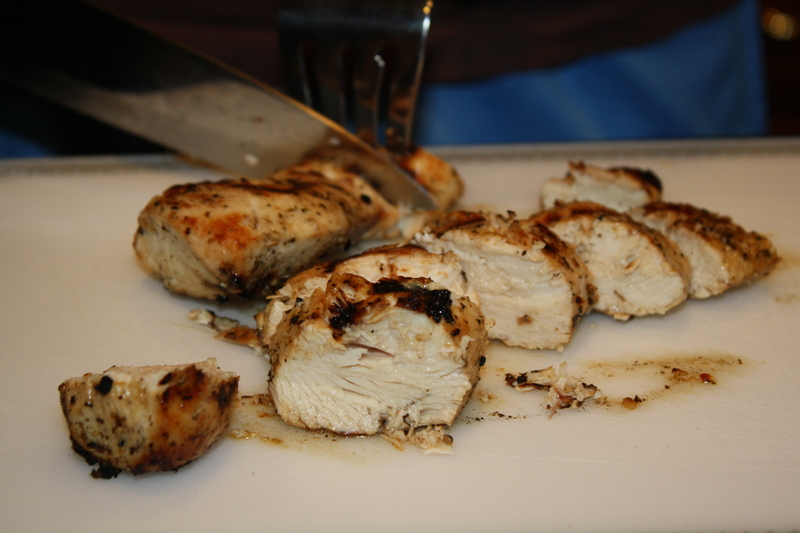 Then we grilled it for about fifteen minutes, let it rest for five, and sliced each breast diagonally. The result was a delicious lemony chicken, but it was not piccata. Traditionally, in picatta, the chicken is sliced into thin cutlets, and then after it is cooked, it is simmered in the piccata sauce. We had already had pasta earlier in the week, so I paired ours with a savory wild rice. It was the perfect combination.